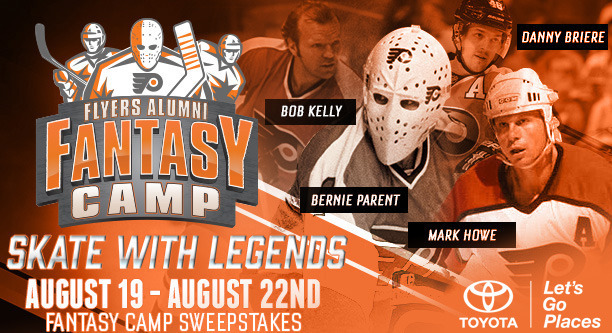 Hockey players can enter once for a chance to win a spot to play real NHL Hockey in the Philly Flyers Alumni Fantasy Camp from Toyota, worth $3000! The winner will receive one (1) spot in the Philadelphia Flyers Alumni Fantasy Camp taking place on Friday, August 19, 2016 through Monday, August 22 In Atlantic City, NJ (Approximate Retail Value: $3,000). Pennsylvania, New Jersey and Delaware residents only.